Greetings and Welcome from the Iowa Whitneys! Farming is a longstanding tradition in our family history as is our commitment to providing affordable high quality Red Angus cattle for our commercial and seedstock customers. Like most beef farmers we have experimented with a number of cattle breeds, crossbreeding and AI sires in constant pursuit of improved carcass merit, growth rates, maternal characteristics and profit. We believe Red Angus provides the most complete package when it comes to these four production criteria. We started to exclusively use RA sires with the purchase of our first bull in 1999. In 2003, we decided to sell off all but two of our commercial cows and buy several purebred RA cows. We were fortunate to have the opportunity to hand-pick these cows from the herd of Ray Brickl, a well known breeder of high quality Red Angus from whom we purchased two of our herd sires and learned a great deal about RA pedigrees and EPDs. 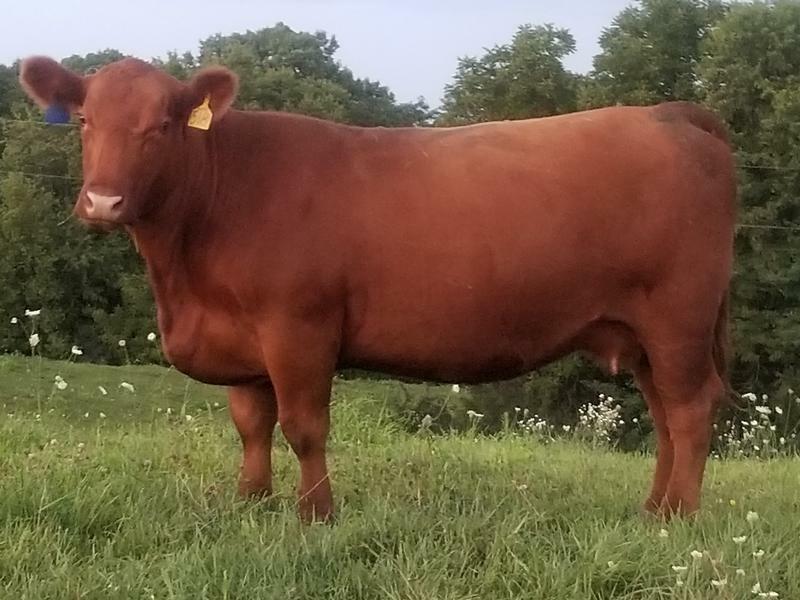 We have since made additional purchases of high quality yearling heifers and bulls from several other midwestern RA seedstock providers to round out our foundation stock. We continue to use carefully selected AI sires and have begun an embryo transfer program with a few of our best cows. While many of our cattle have performed very well in local and state show rings, that has always been a bonus rather than a focus. Raising and exhibiting our RA cattle is truly a family endeavor. In 2007, we purchased a 163 acre farm just north of Maquoketa, IA. We finished the move from our farm in Delmar to Maquoketa by the end of 2008, and now look forward to the continued growth of our Red Angus herd and farm. We hope you find our website useful and informative. Please use the Contact Us page with any questions or inquiries you may have about our cattle or labradors or click on our name at the bottom of the website and send us an email! Clicking on any photo throughout the website will give you a larger, full framed image.